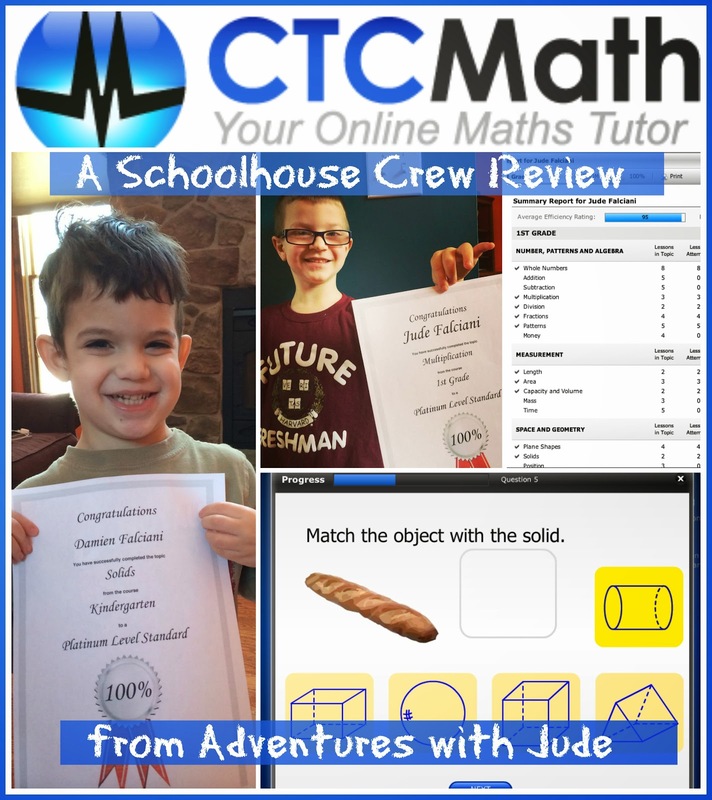 CTC Math is an online math curriculum that provides tutoring for all ages - from newly minted Kindergarteners to upper level Calculus students. Each lesson starts with a short tutorial video and continues with a practice session to help hone skills. 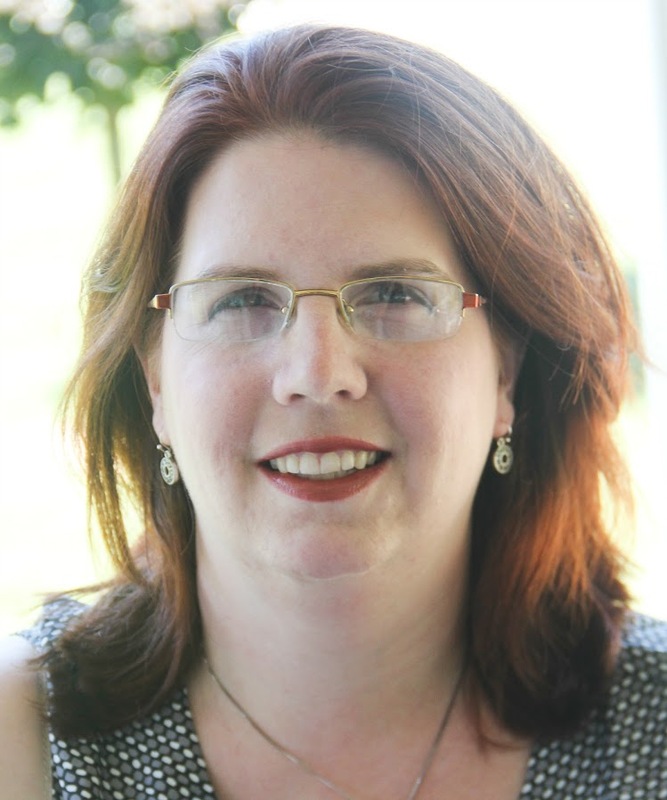 Created and voiced by a homeschooling dad, Pat Murray, this is a program for homeschool and in-school students alike; everyone in our home was able to participate in this review of a 12 Month Family Plan. Damien started with the Kindergarten level. Given he's still an early preschooler (he's not quite 4), I was really surprised that there were lessons he could do. However, that doesn't mean that this program is watered down. We've worked on other programs that have a Pre-K level that contain similar lessons, but in comparing them, CTC Math actually expects more of students. It doesn't create a level that asks the student to count to 5 in preschool, and then to 10 in kindergarten. It gives young students the credit they deserve -- that most four- and five-year-olds are smart enough to count to ten, and don't need to stop at five. It doesn't create an artificial level for younger students, and ask them to re-prove competence in Kindergarten. It will probably take Damien until next summer (when he turns 5) to complete the course, because there are some things he just isn't developmentally ready for at 3 1/2. However, I'm really impressed at how well he is doing with the early lessons in the program. Jude is coming to the end of first grade. There have been some activities that we haven't had an opportunity to actually sit and work though in his regular workbook, so I've been hesitant to move him up, but he's getting frustrated working through his program. CTC came along at a perfect time for us. 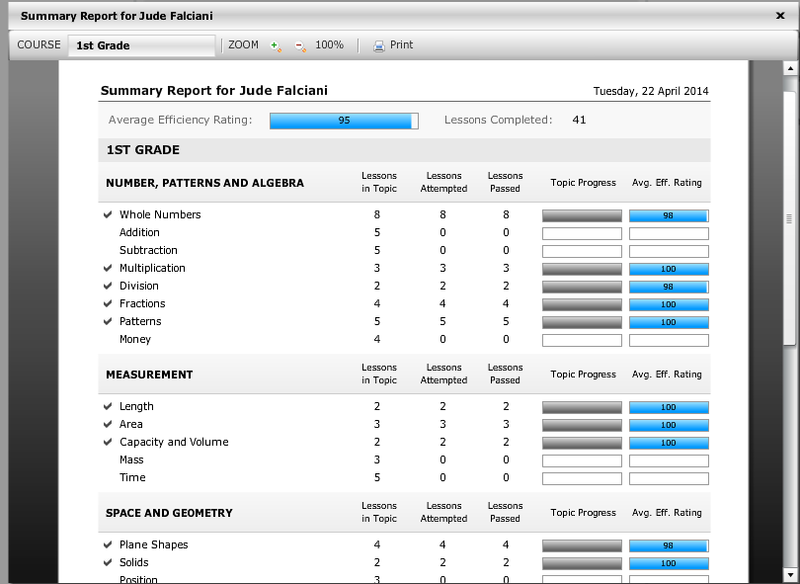 For students through sixth grade, CTC Math can be used as a full curriculum, so we used the first grade course to evaluate Jude's readiness for second grade. For some units (like addition and subtraction), we were able to use the overview test, while for others I wanted to evaluate him on individual skills. Sitting with him as he works through the units, I feel he does have a good handle on things, and his overall score of 95% for the first grade level is accurate. We've already started moving on to second grade work! I haven't fully decided if we are going to use a a book-based program or just continue with CTC Math for next year, but we will definitely be using this! The well explained video examples really make sense for my visual learner! One of our issues last year was the program we were using was aligned with the Common Core. I know everyone has their own philosophical take on the Common Core, but our biggest hiccup with it was practical - it wanted Jude to show he could do something three or four different ways, and he was getting frustrated. To him, if he could add five and five and get ten, he didn't understand why he had to add dots, pictures, strokes and numbers - he knew "five plus five equals ten." CTC Math hits on all the concepts, so you can be confident that your student can add proficiently, but it is not "aligned" with the CC. 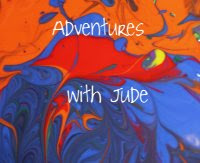 Jude was much happier with learning something, proving he could do it, and moving on. He did have to use/practice those skills later (for example, using addition to count up area on a graph), but he wasn't bogged down in "proving" he could add six different ways. Luke is currently "officially" studying Geometry. I asked him to attempt the Algebra II section - something that was new. I wanted to see how it would work as a teaching program, as opposed for supplemental/tutoring work. There is a fair amount that he recalls from Algebra I, so that helps him (since Algebra II builds upon Algebra I, of course), but for the most part, he is doing well with the Algebra II program. At this time, however, it is not considered a full program (the company is working on building the current program into a full curriculum in the future). While he will have to complete another program to earn full credit for Algebra II, Luke is very interested in continuing with CTC Math. Overall, he feels it does a very good job of explaining concepts to him. Celia and Matthew used this as a supplemental program. Celia used it to practice her math skills (4th grade). Rather than following the course as outlined, she tended to skip around, searching for topics she was currently working on to review. Every section was logically described, so that she was able to easily find a matching unit. Matthew found it helpful for explaining Algebra I concepts he was struggling with in school. We had a slightly more difficult time finding correlating sections, but that is possibly because the program may use slightly different lingo. There were a few concepts that the process made sense but the language did not. Because this is an Australia-based program, some of the dialect just is a little different that what we are used to in the US. We didn't find it a huge barrier, just a bit of a speed bump. At the end of each section, a certificate of proficiency is issued. We had a bit of a battle going on here with who was going to have the most by the end of the six weeks. Sometimes, Jude can be a bit...let's say stubborn...about wanting to do an entire day's planned schoolwork. Often, getting him to do more than one short section of something can be a struggle. He doesn't quite realize that ten minutes isn't an entire day's worth of math. Often, he would insist on continuing, especially when he saw the there was a certificate in the near future. In the little boys' levels, there three or four sections per unit and certificate, and there were several days where he'd complete "just one more to get [my] medal." However, there were two areas where he didn't get certificates, despite 100% accuracy. I felt pretty confident that he knew addition and subtraction well enough to attempt the overview tests for those units. He received 100% scores on both tests, but no certificate. In order to receive certificates, he would have had to go back and complete all the tasks in each section. I wish there was a certificate option with overview tests, since a successful test indicates competency. I have to say that CTC Math has incredible service. I emailed customer service one afternoon (just about 6 pm Eastern) with questions about their scoring system. I got an email back almost immediately asking for my phone number - Matt wanted to call me and explain it directly. Unfortunately, I didn't get back to him until close to 10 pm my time, and I never expected him to jump on the phone literally a few minutes later! (Because the company - and Matt - is in Australia, the time difference put it mid-day there. He was hoping I was still up since I had just emailed him, but unfortunately, I had already turned my phone off.) He rang back the next day around 5 pm our time. The reason he wanted to call me was so that he could walk me through the program while we were both logged into the system, rather than try to describe everything via email and leave me trying to figure out where he was talking about. Good idea, because things totally make sense now that he's described it. The K-6 averages the student's "last" three scores, throwing out any priors. 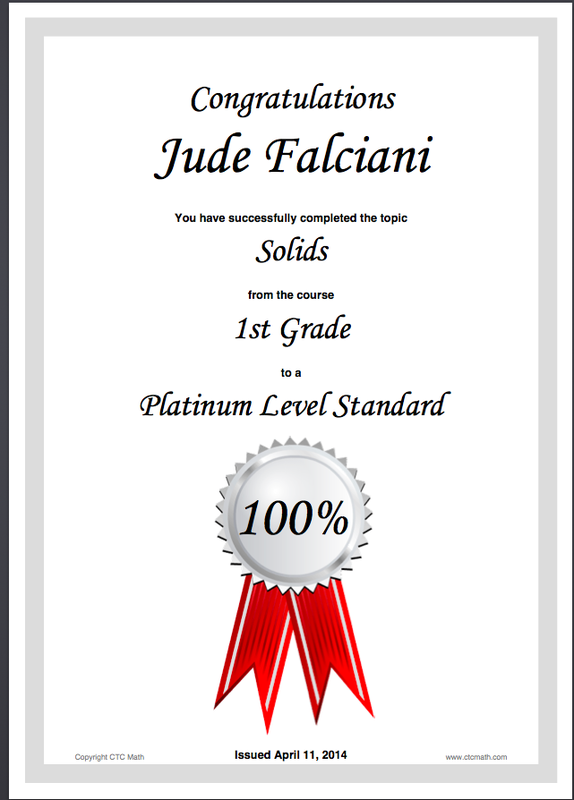 Jude had one unit where he had three 100%s for the first sections, and then on the final section missed a question and ended the fourth with an 88%. He really wanted a 100% ribbon, so he kept retaking the test until he earned it. This explains how got the 100 score when the "average" of those four grades would only be 97% - the 88% was thrown out. For the higher levels, it averages all the scores, but your first one or two attempts are weighted more heavily than the later ones. The reason is because after either the student passes the test or completes a third attempt, the "See Solutions" option unlocks. It gives more weight/credit towards "cold" attempts than later ones where the student has had practice and/or have been able to use the Solutions page. It was created that way because when it started in schools (it's a very popular in-school program in Australia), kids were (unfortunately) just filling in anything until it was unlocked, and then copying answers and getting 100s. It's their workaround to prevent kids from playing the system. (And it makes total sense to me.) 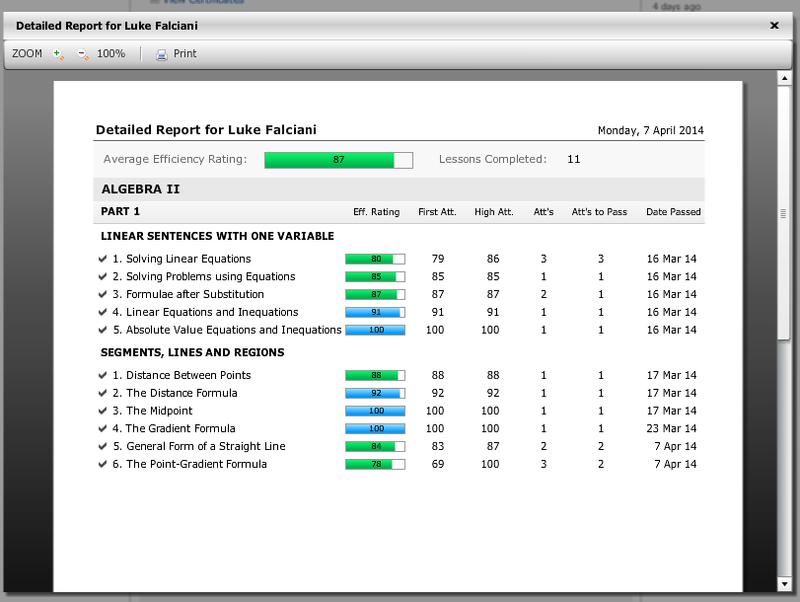 Matt walked me through Luke's student account, and showed me how it was unlocked on ones where Luke had a passing score, locked where he didn't, and never locked on ones that are self-checked (they say "n/a" in the Efficiency Rating column on the dashboard). One thing I really like is that the pricing for CTC Math is per family, not per student. I know when I've looked at many online programs, the cost is per student, and even with "multiple student discounts," it still gets expensive. With eight children of his own, CTC Math's founder, Pat Murray, totally understands this and welcomes large families! When you initially sign up for a family account, there is space to enter up to five students, but you will be sent a "Welcome to CTC Math" email that will tell you how to enter additional students. Subscriptions for one student or for a family are available on a monthly, semi-annually, and annual basis. Regular pricing is $29.97/$127/$197 for one student, and $39.97/$197/$297 for families. However, as of April 2014, is currently a special for homeschoolers, with a discount of 60%! We received a one year family membership, and while I would be very happy with it at full price, you can bet I'll be extending while it's still on sale! You're probably thinking, well, this sounds great but my kids use a tablet, not a computer, for schoolwork. No problem! 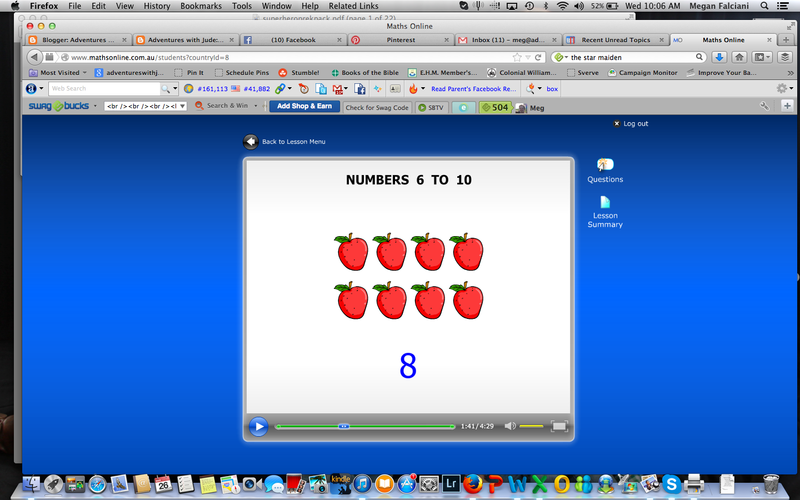 CTC Math uses HTML 5, not Flash, so it's compatible with both iPad and Android systems. We've tried it out on an iPad 2 and iPad Mini with no problems. In theory, it will work with an iPod as well, but it's really too small a screen to work with. We really love this program, and definitely plan to continue using it. My first thought was "this is pricey," but divided among five children, it's very reasonable. 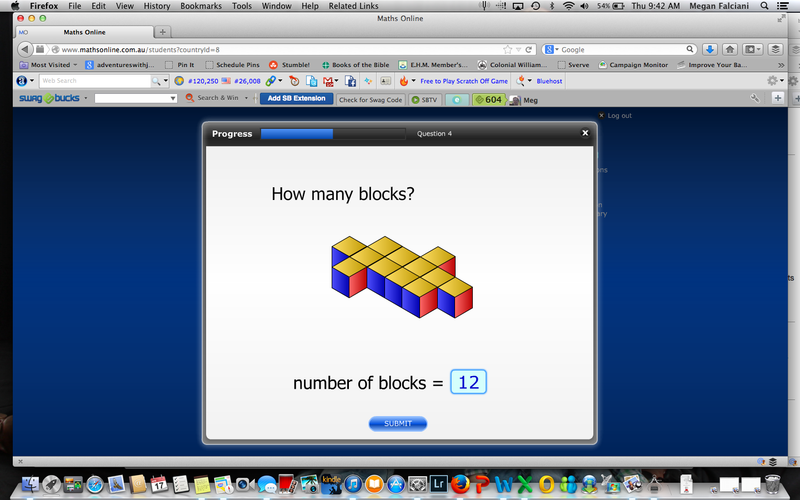 It's a program that can be used by students at any grade level and will give them solid math practice.